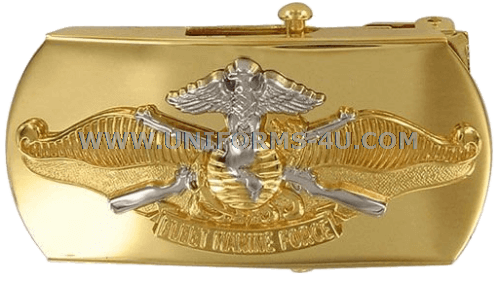 Officers and enlisted Sailors serving with a Marine Corps unit who have earned the Fleet Marine Force (FMF) Warfare qualification are authorized to wear this decorative buckle featuring the FMF insignia: the iconic USMC Eagle, Globe, and Anchor surmounted on a pair of crossed rifles set against the backdrop of waves crashing on a sandy beach. 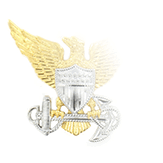 Officer and CPO buckles are gold by regulation, with FMF Chiefs distinguished by a silver insignia; junior enlisted Sailors wear silver buckles with silver insignia. 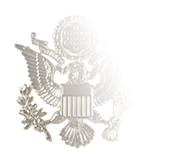 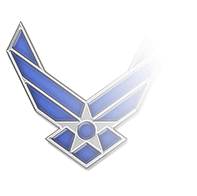 The insignia on Officers’ buckles reflects the design of the breast insignia, with highly polished silver used for the eagle, rifles, and continents on the gold globe. 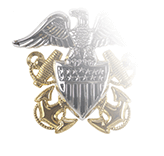 Navy personnel who have earned the FMF Warfare qualification are considered as equals by the Marines with whom they serve, in no small part because part of the qualification process involves extensive tutelage on Marine Corps history, customs, and etiquette. 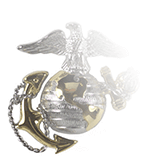 The insignia, created for the FMF Warfare badge, was authorized in 2006 to replace the Fleet Marine Force Service Ribbon.